Jeremy Edelstein recently graduated from Penn State University with honors in music education, as well as a Bachelor of Arts in English literature. His undergraduate thesis project examined the influence of Walt Whitman's poetry on American vocal music, for which he sang and directed a chamber choir in recital. During his time there, he also served as music and executive director of an all-male a cappella group, The Statesmen, overseeing an album release and national performances. His mentors there include Christopher Kiver, Gerardo Edelstein, and Norman Spivey. His thesis project highlights his passion to examine the intersection of arts, particularly the relationship between poetry and music. 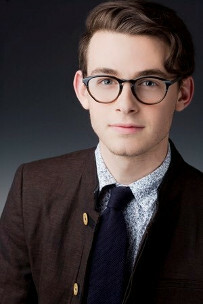 He has studied conducting in workshops at Westminster Choir College with Simon Carrington, Temple University with Paul Rardin, and conducted the Elmer Iseler Singers at the Halifax Choral Conducting Institute last summer. In the fall of 2018, he will begin studies to pursue a master's degree at Northwestern University with Donald Nally.